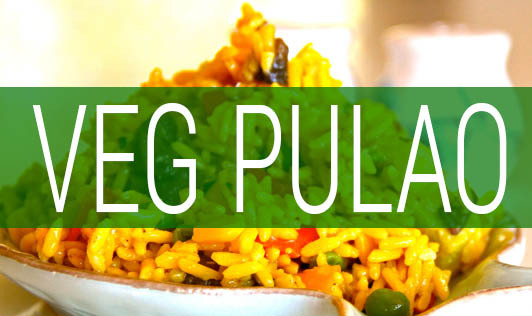 This colorful mixed vegetable pulao would be perfect for a main course. The addition of crunchy cashews, onions with assorted spices gives a tasteful punch. Heat the oil in a broad non-stick pan, add the bay leaves, cinnamon, cloves and sauté on a medium flame for a few seconds. Add the cooked rice, vegetables, half of the fried onions, coriander and salt, mix well and cook on a medium flame for 2 to 3 minutes, while stirring occasionally. Serve hot garnished with fried cashew nuts and the remaining fried onions.